3M Cuno Aqua-Pure AP217 compatible granular carbon chlorine water filters and o-ring by American Plumber/KleenWater. 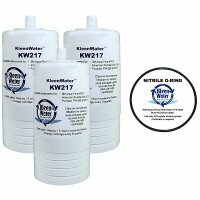 The DW-200-R granular carbon chlorine water filter cartridge fits Cuno AP-200 and Purwater PW-200. This dirt, rust, sediment, taste, odor and chlorine filter has dual action capabilities. It's activated carbon content removes chlorine and enhances the taste / odor of water. 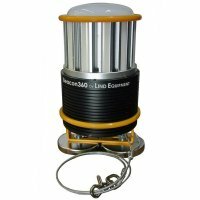 Secondly this system will remove dirt / sediment down to 5 microns. Flow rate 2 GPM. Change cartridge after 2000 gallons or every 6 months. Includes an o-ring to fit the AP200 water filter. Replacement o-ring for 3M Purification Cuno Model AP200. We recommend consumers keep a spare o ring on hand to avoid urgent situations. An o ring facilitates a water tight seal between the water filter sump and the water filter head. The most common o rings (o-rings) used in water filtration are made from Buna N material. Buna N is also commonly referred to as nitrile.